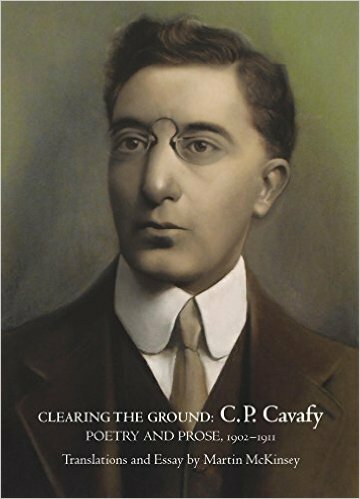 Clearing the Ground illuminates a crucial decade of Cavafy's artistic development, marked at one end by a period of personal crisis and near creative stasis, at the other by the poetic force of the celebrated "Ithaca." The years in between are held together by the "Unpublished Notes on Poetics and Ethics." Part private confession, part public pronouncement, part journal entry, and philosophical pensée, these "Notes" were recorded between 1902 and 1911. In some of them, according to the eminent critic G. P. Savidis, Cavafy attempted to formulate "thoughts and feelings never before uttered" in his own language — in certain cases, in any language. The full body of the notes is correlated in this volume with the poetry Cavafy was writing contemporaneously — in particular the startling "hidden poems" begun in 1904. What emerges is a striking narrative of artistic and personal becoming. The afterward by Martin McKinsey examines Cavafy's sexuality and accompanying pressures in historical context and suggests the part they may have played in his poetic breakthrough. This is a revelatory work for students and lovers of Cavafy — one of the great outsider poets of the twentieth century.